We're all feeling the warming powers of GInger this January! Learn some interesting facts about this amazing plant. We can thank Queen Elizabeth I of England for the invention of the gingerbread man. The top five countries that produce the most ginger are India (producing 34.6%), China (producing 19.1%), Nepal (10.6%), Nigeria (7.8%), and Thailand (7.5%). 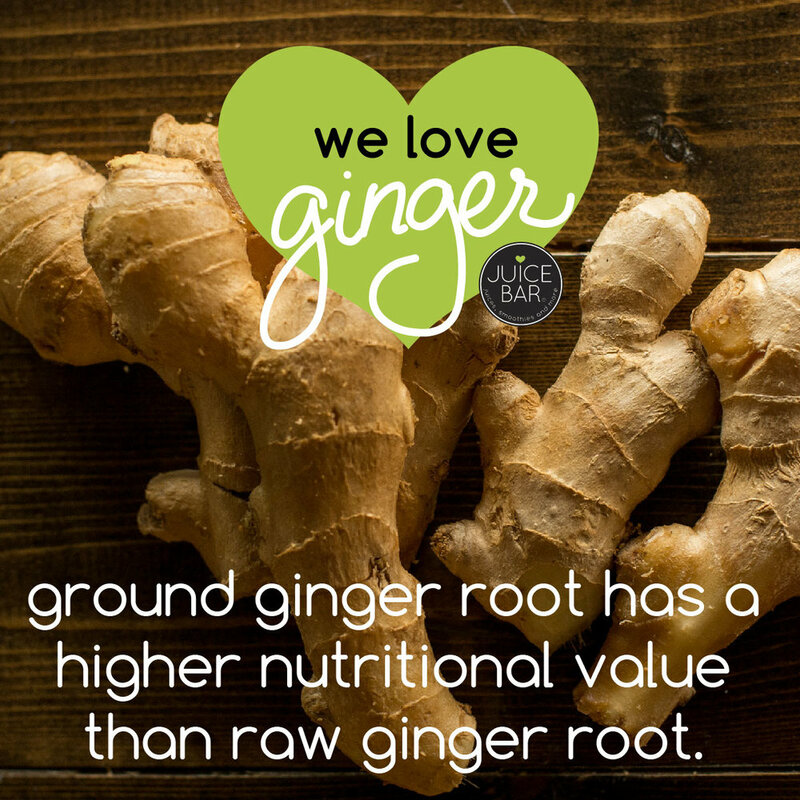 Ground ginger root has a higher nutritional value than raw ginger root. 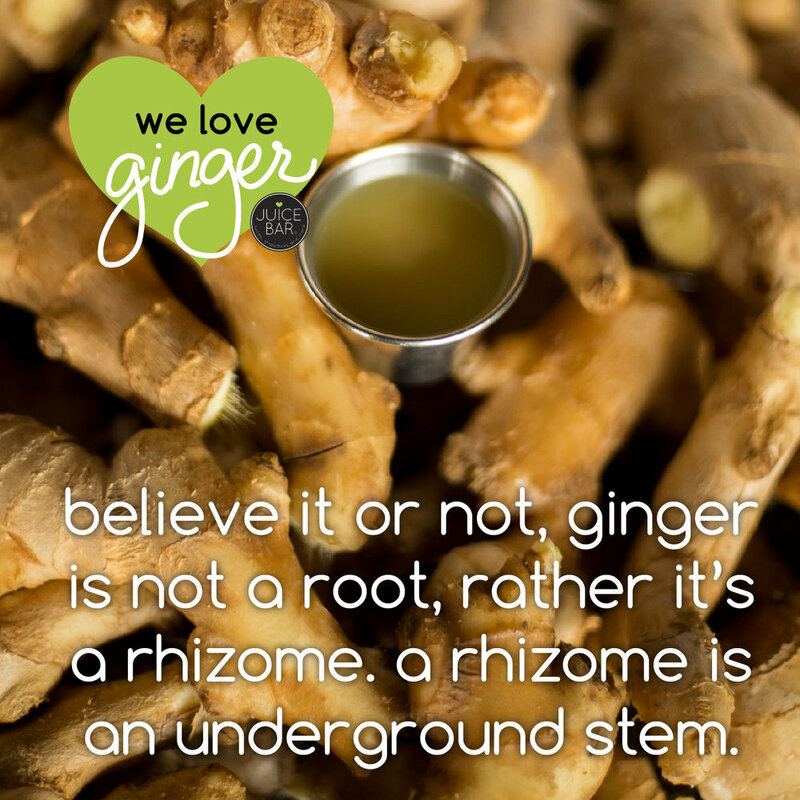 Believe it or not, ginger is not a root, rather it’s a rhizome, which is an underground stem. There are over 1,000 species of ginger! 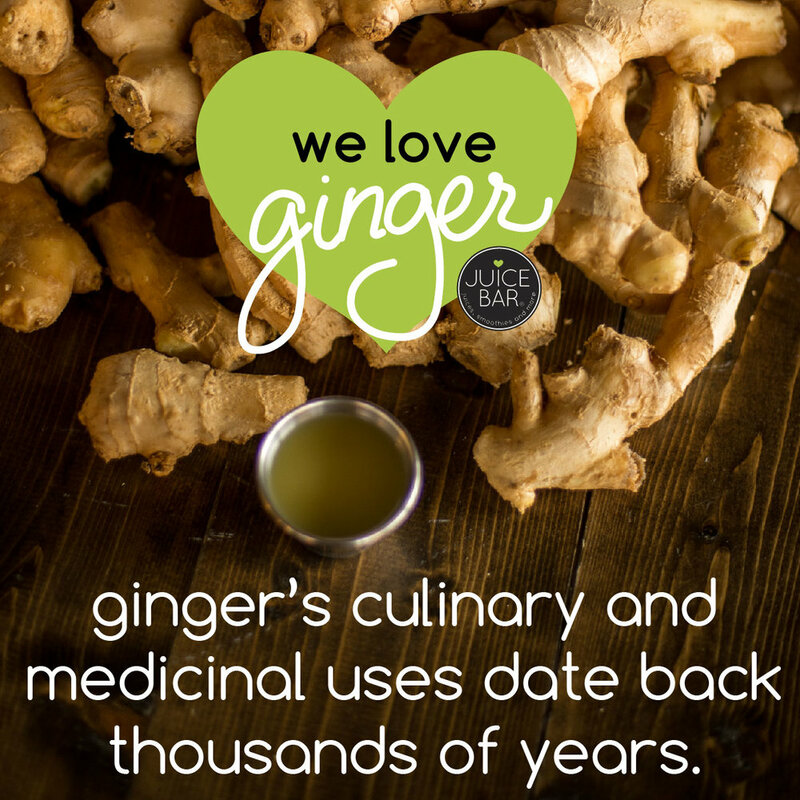 Ginger's culinary and medicinal uses date back thousands of years. You can use the top part of the ginger plant like an herb. Ginger has a long history of alternative medicine uses for ailments such as: digestive issues and nausea, fighting the flu, and warding off colds. Ginger can help soothe morning sickness. 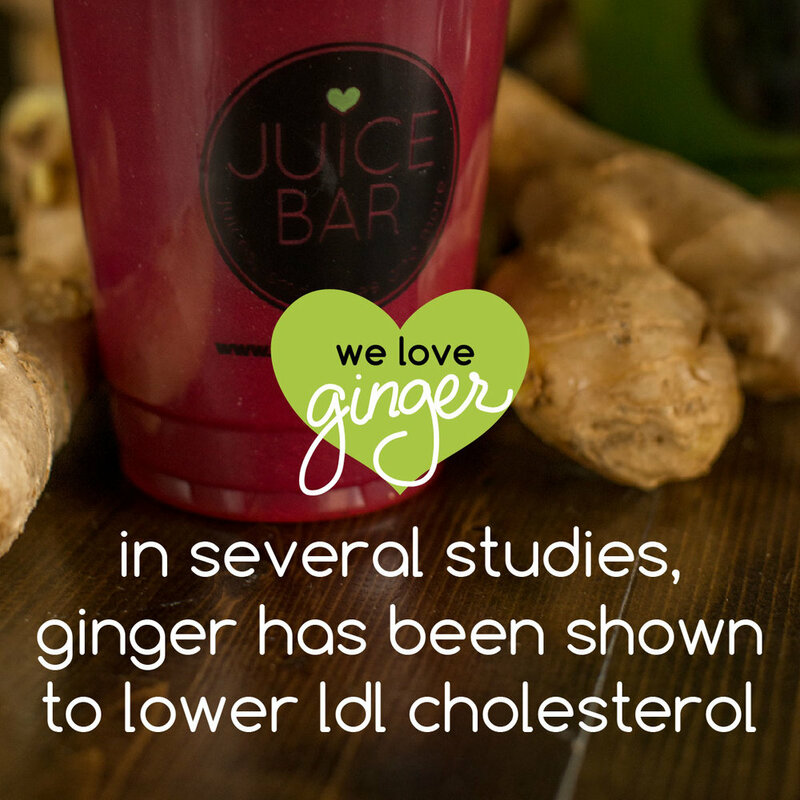 In several studies, ginger has been shown to lower LDL cholesterol. 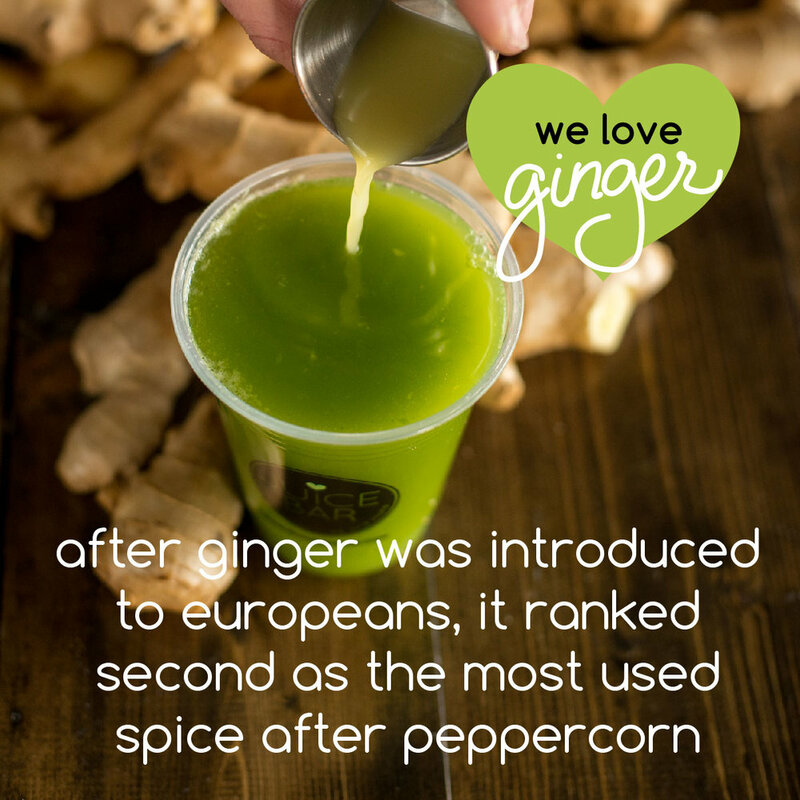 After ginger was introduced to Europeans, it ranked as the second most used spice after peppercorn.